Do you guys have artichoke on the menu? I don’t mean Jerusalem artichokes, they aren’t even family! 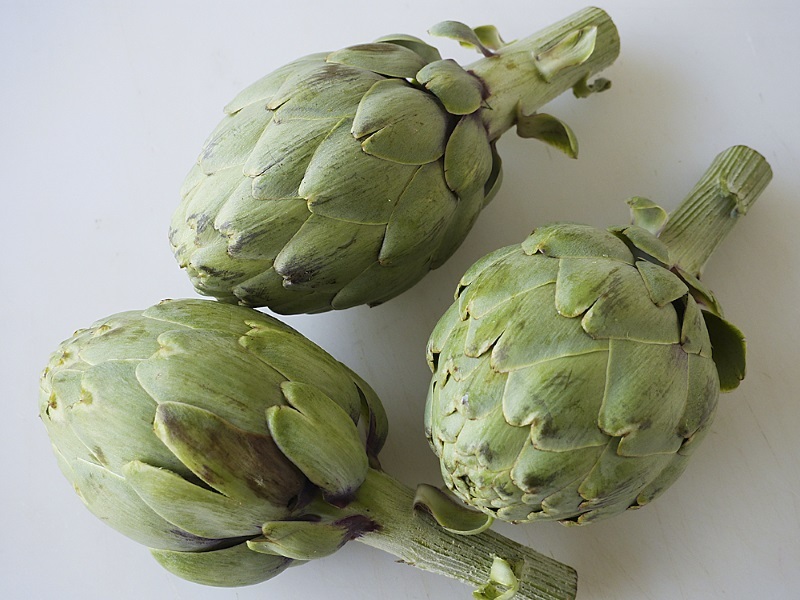 In French, artichokes are artichauts and Jerusalem artichokes are called topinambours. Artichokes are now in season and available here mostly in specialized grocery stores or simply in ethnic stores. They are not cheap, since they are not grown here at all. They still are considered a posh type of veggie, more of a restaurant item. 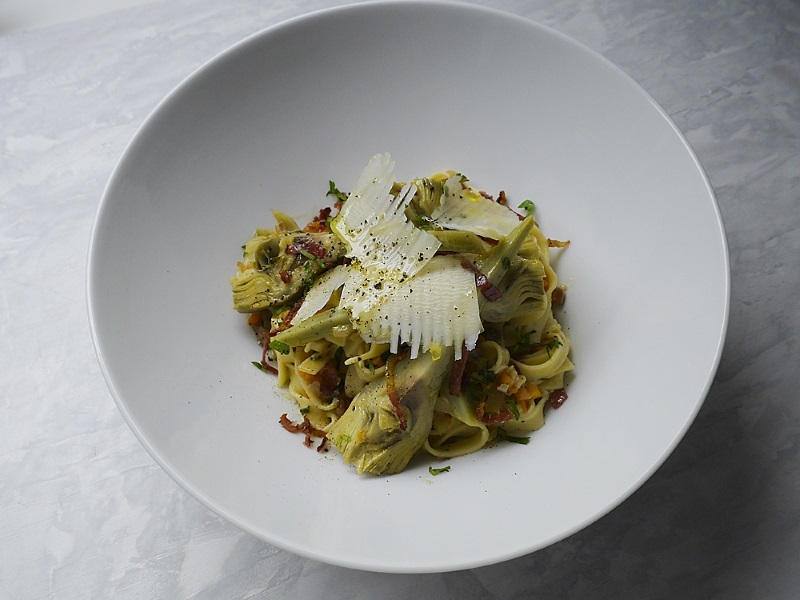 I made this dish based on a French artichoke preparation called “Artichauts à la Barigoule.” I served this on tagliatelle pasta, which is not a typical presentation, but certainly a delicious one! It is now a member of the the top five in my series of pasta dishes. Start by cleaning the artichokes; cut of the top part, remove the leaves, and peel. 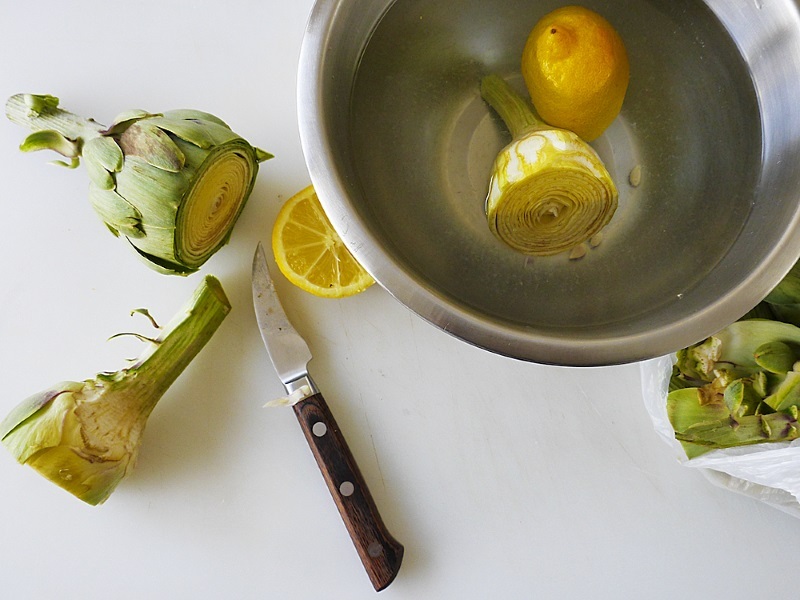 Rub the artichokes with a halved lemon to prevent from getting black. Keep in acidulated water until needed. Blanche the artichokes (whole) in salted water for 5 minutes. Make a fine brunoise* of onion, celery, carrot and garlic. Cut a few slices of streaky bacon in thin slivers. In some olive oil, on low fire, start with the bacon and fry. After a few minutes, add a little bit of chili flakes if desired, then add the rest of the ingredients, except for the artichokes. Let everything sweat for a while. Then add dry white wine and let evaporate somewhat. Cut the artichokes into quarters, then add them to your sofritto base, along with salt and pepper. Put the lid on and let them cook slowly until the artichokes are done; test with the tip of a knife in the thickest part. In another departure from the traditional method, I added a few tablespoons of cream for a smoother texture and to stick to the pasta. Served on tagliatelle pasta with shaved parmesan, a sprinkle of excellent olive oil and freshly ground black pepper....delicious! Quite lovely and have had similar artichoke dishes in Provençe however, I have never seen turnips or potatoes used with Artichokes. In Provençe, they are prepared in a true Provençal manner, with tomato, zucchine or courgette, aubergine or eggplant and Maquis Herbs. 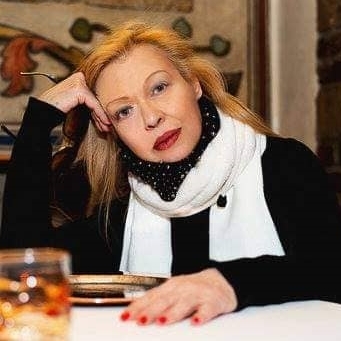 The Italians bake their´s and they are terribly laborious to deal with ..
Turnips do tend to be Eastern European verses Provençal .. They are a Winter vegetable like Cardoon, and I have not seen any here (April ) .. However, can be in colder climates ? Have a nice holiday .. ( I am travelling ) ..